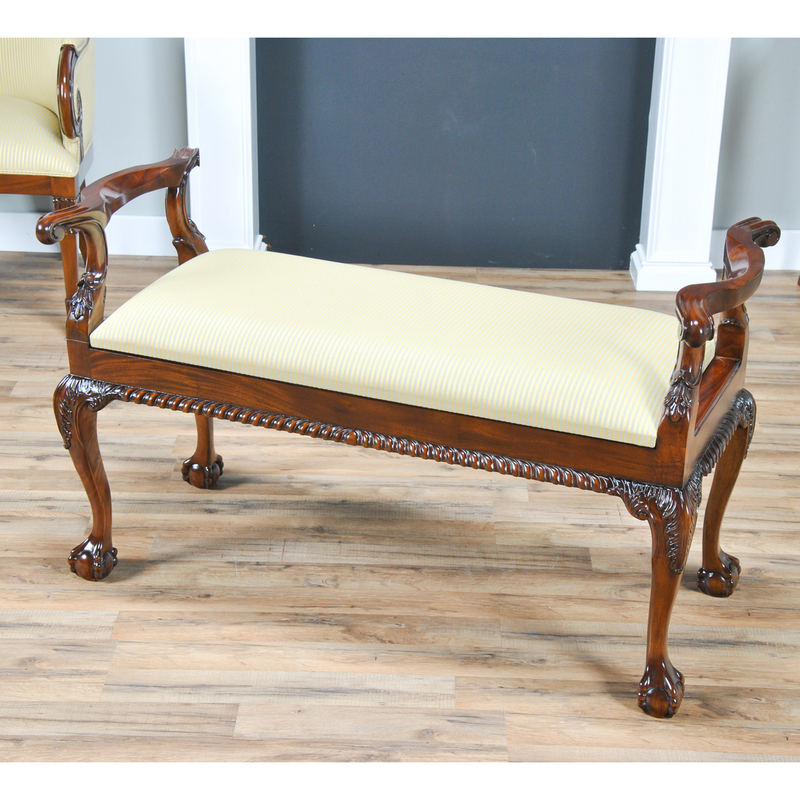 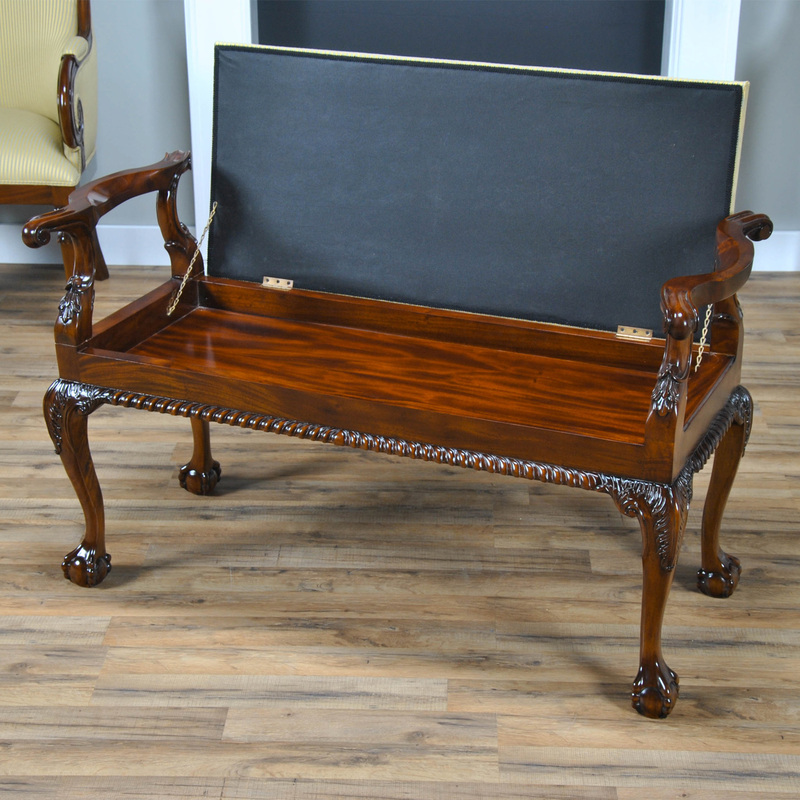 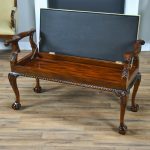 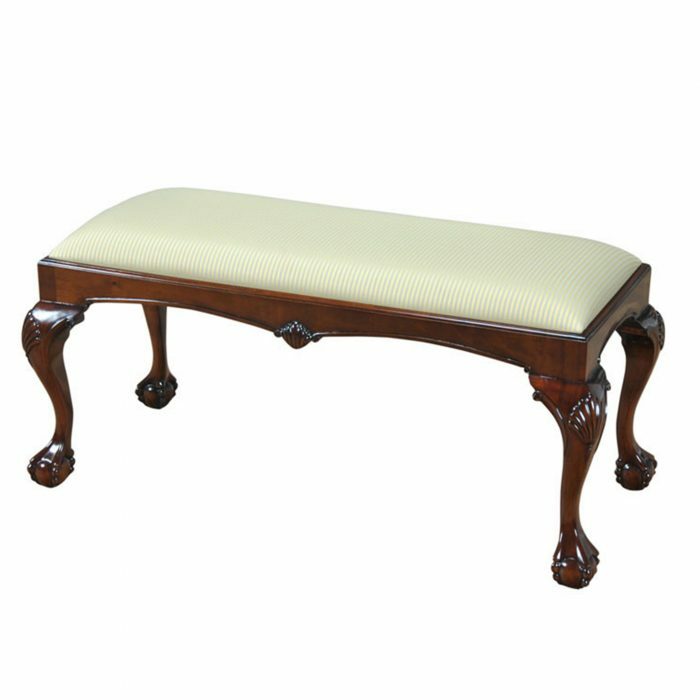 A Mahogany Piano Bench from Niagara Furniture. 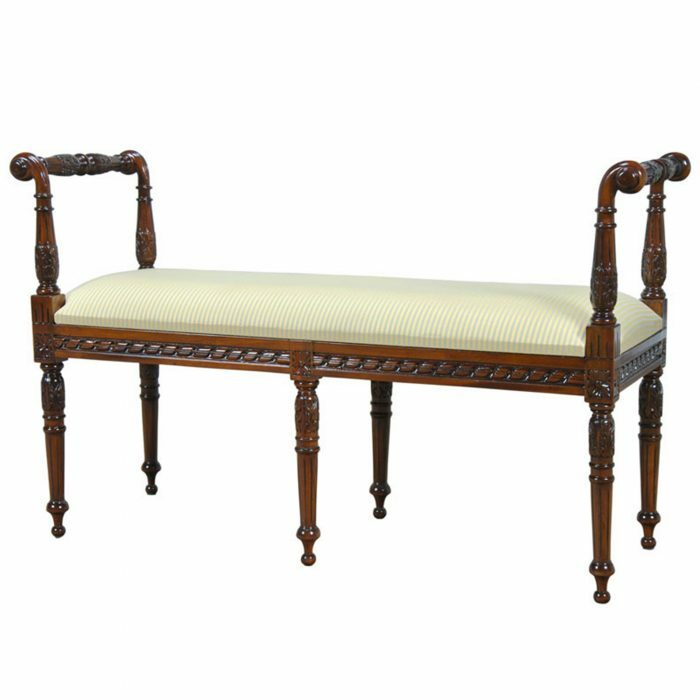 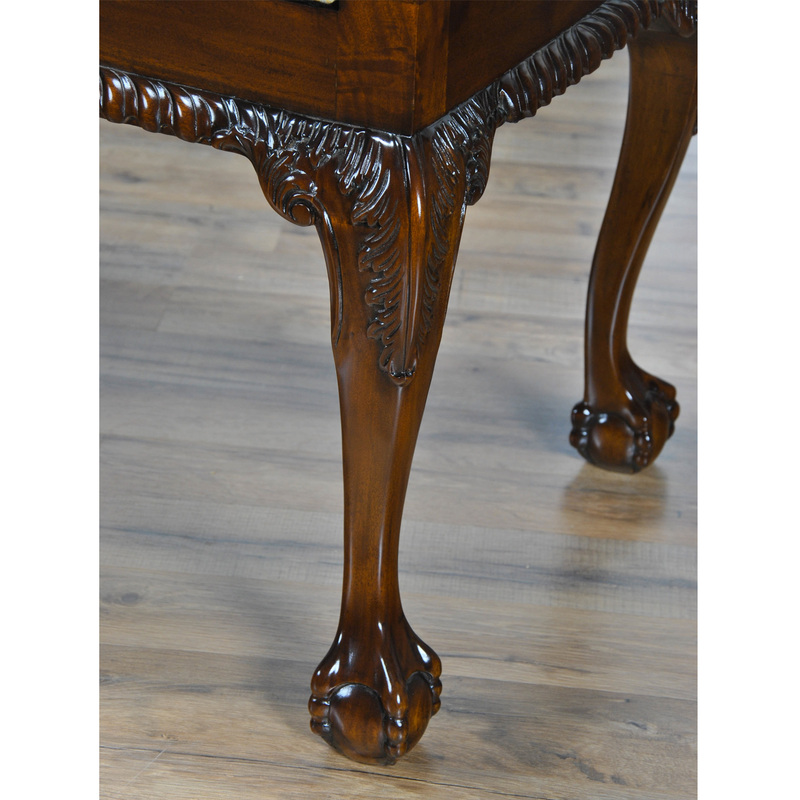 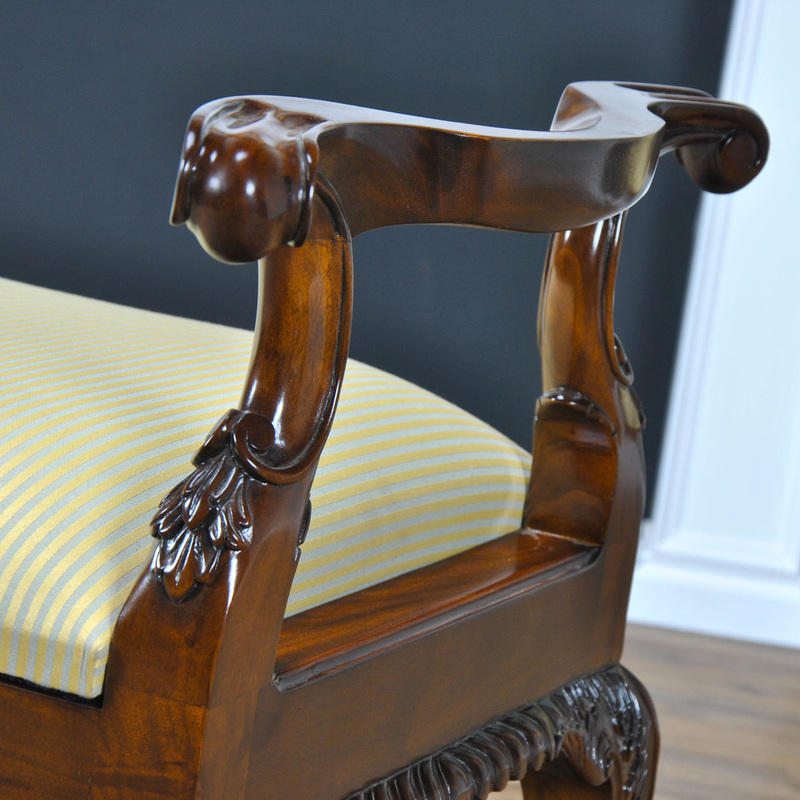 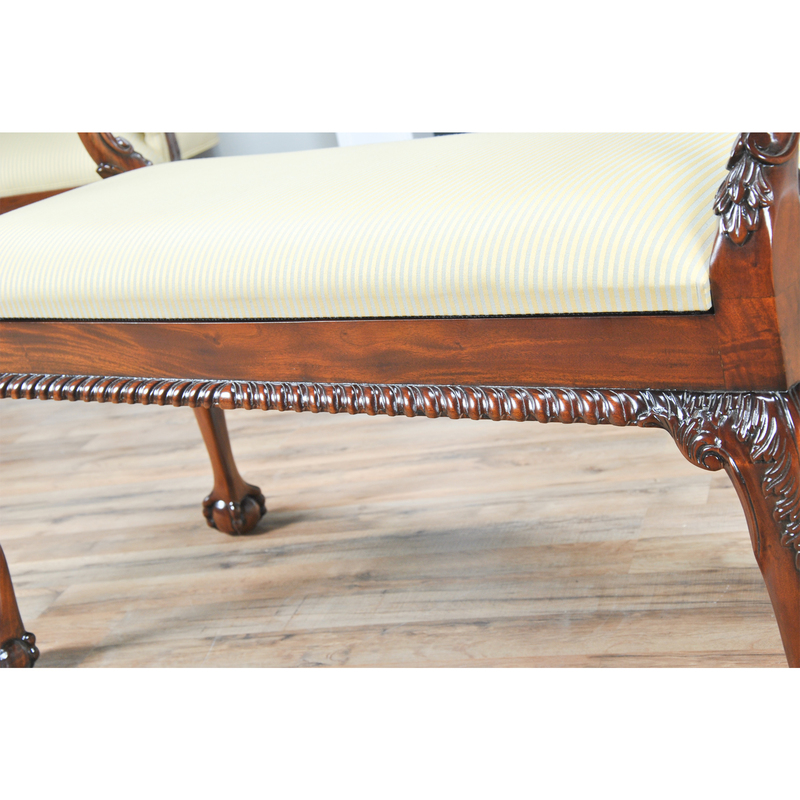 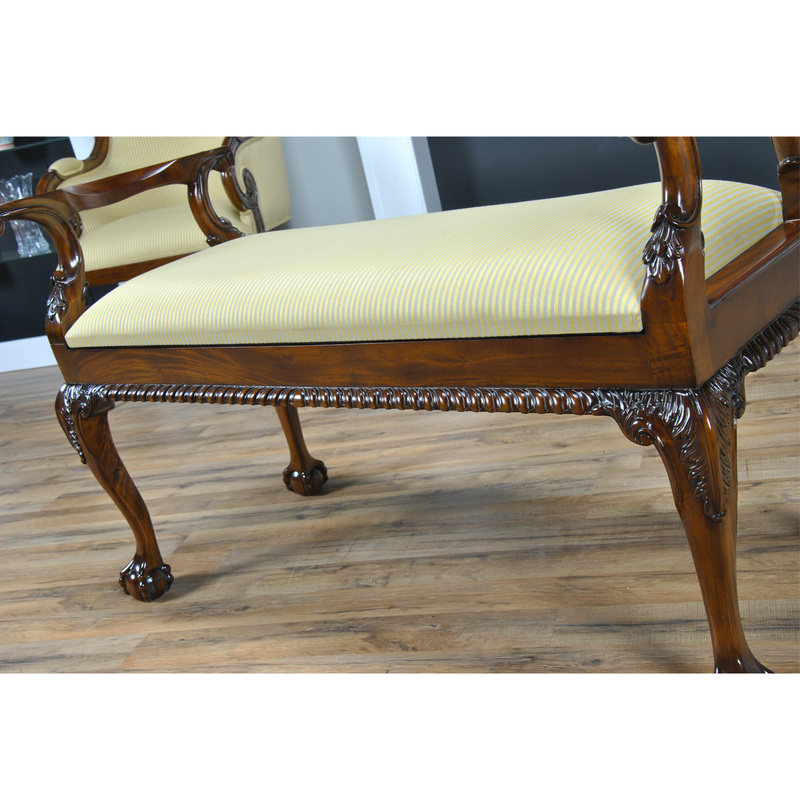 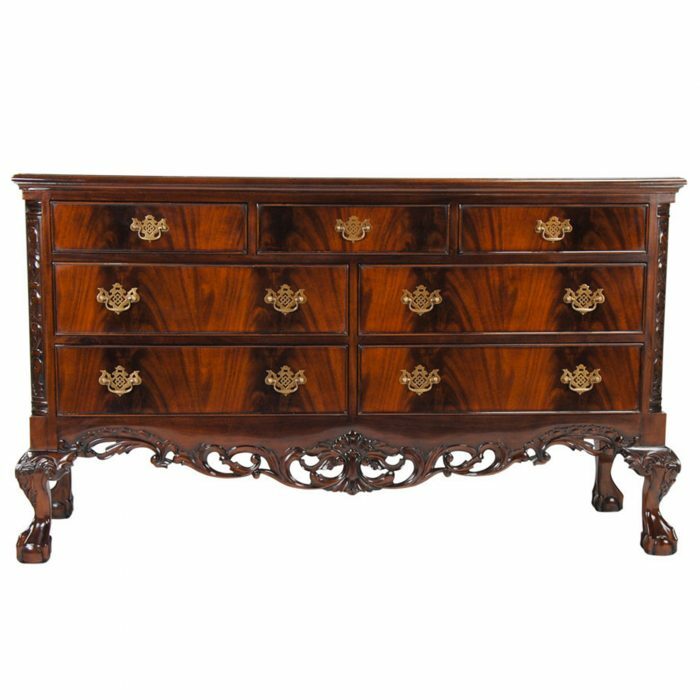 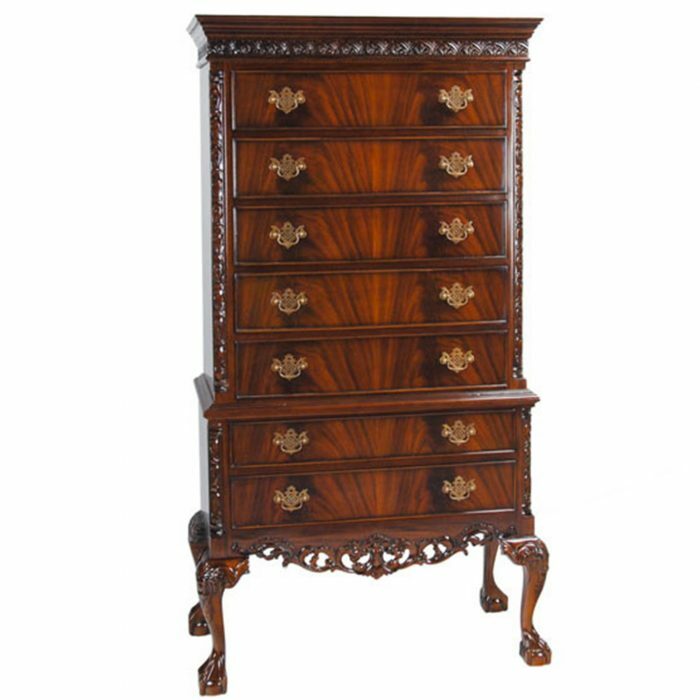 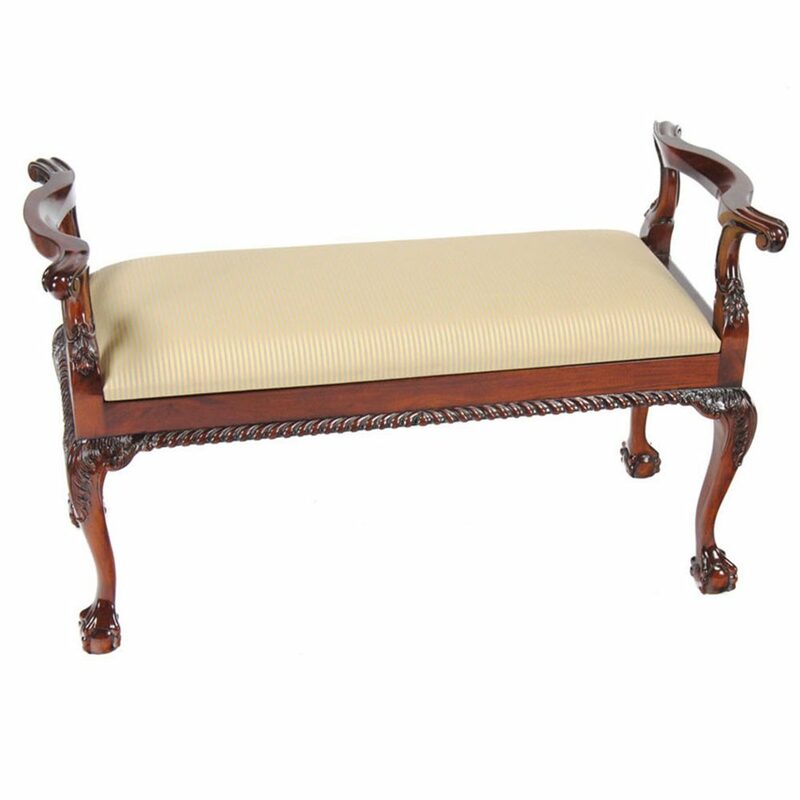 Produced from solid mahogany with hand carved details all the way from the scrolled arms to the gadrooned (rope edged) skirt and on downwards to the cabriole legs which feature acanthus carvings as well as ball and claw feet. 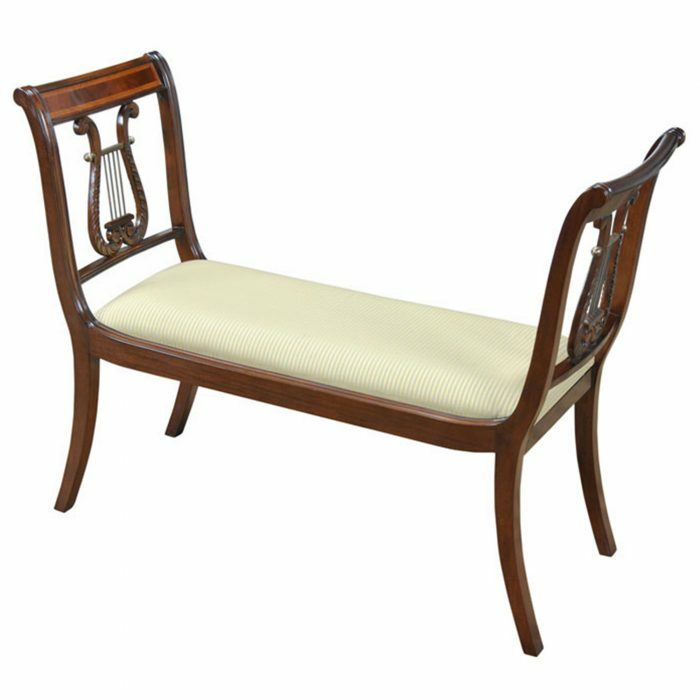 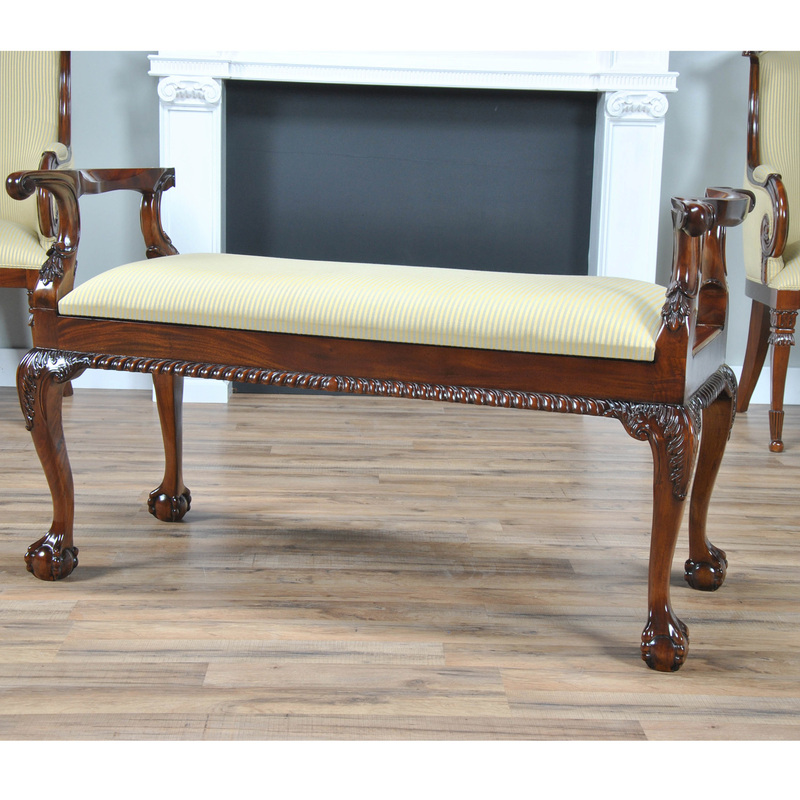 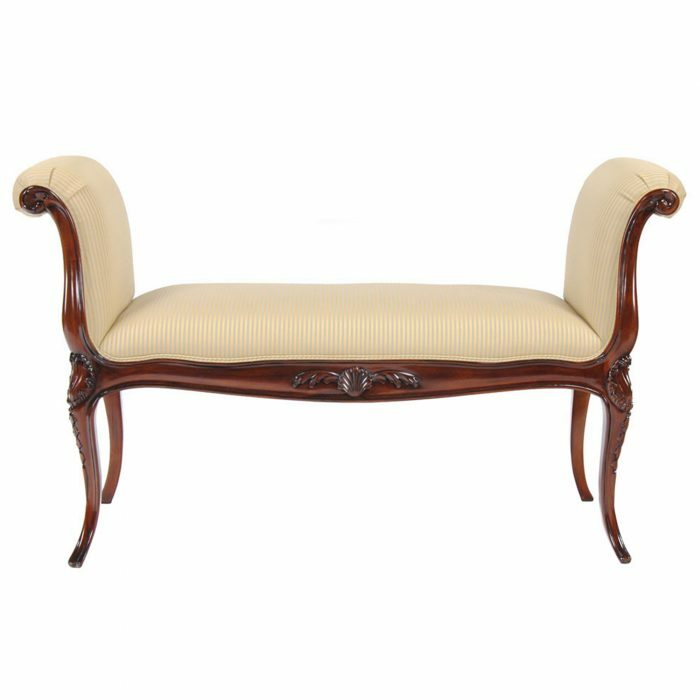 Useful throughout the home the Mahogany Piano Bench also has a seat which raises to reveal a storage space initially intended to hold sheet music. 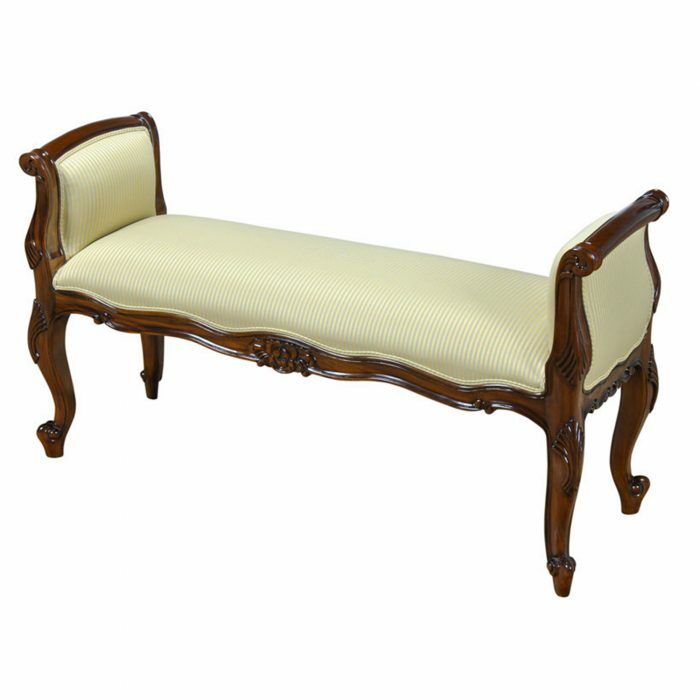 The original Ball and Claw Piano Bench can be found in the Glen Foerd mansion on the Delaware River in Philadelphia. 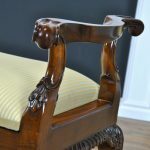 Closely related to the Niagara Furniture Ball and Claw Bedroom Set.